Men's Handcrafted Leather and Cotton Blue Wristband Bracelet, "River Current"
Indian artisan Anoop Rana evokes the churning of the river in this stylish men's wristband. 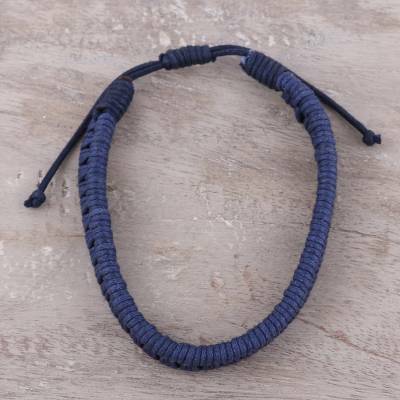 Muted blue cotton cord has been expertly braided around the genuine leather band. This accessory is adjustable to any wrist.